Betterment complaints number & email. Get verified information about Betterment complaints email & Phone number. Contact Betterment on (844) 291-8593 if you wish to make a complaint. You can also contact the company by email or post, and there is a full complaints handling service should it not be resolved by telephone in the first instance. Call the Betterment complaints line on (844) 291-8593 between Monday-Friday: 9:00 AM-6:00 PM ET (Phone & Email) Saturday-Sunday: 11:00 AM-6:00 PM ET (Email Only) to seek a resolution. If this is not effective, then you can try contacting the company through email or post and set in train their structured complaints handling process. Betterment is an online investment company, registered with the Securities and Exchange Commission and a member of the Financial Industry Regulatory Authority. 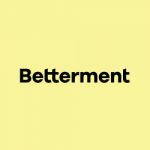 Betterment was founded in 2008 in New York City by Jon Stein, a Columbia Business School MBA graduate, and Eli Broverman, a lawyer out of NYU School of Law. Hopefully, We helped you to get some genuine records for Betterment Complaint information. Use below complaint form to discuss problems you have had with Betterment, or how they have handled your complaints. Initial complaints should be directed to Betterment directly. You can find complaint contact details for Betterment above.